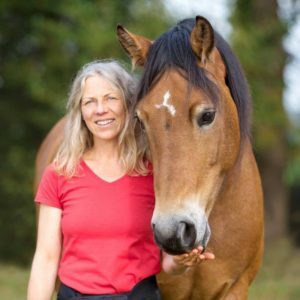 Whether your heart beats for dogs, horses, canaries or any other animal species, whether you are a professional animal trainer or dedicated layman: Our original Chicken Camps provide the ideal settings and conditions to learn the techniques and scientific theory of pet perfect animal training without pressure or so-called dominance. Warning: All who tried and tested positive reinforcement in animal training find themselves addicted to it. The decision to switch to positive reinforcement has transformed my way of handling horses. It has greatly enriched my daily life with my horses, and I can see that my horses feel the same way, too. We communicate in an exceedingly clear and joyful manner, as opposed to the traditional way of training horses with physical and psychological pressure. The good news is: An intelligent application of scientifically confirmed behavioral principals allows you to be your horse’s best friend and, at the same time, train it to do the most amazing tricks and complex behaviors. How awesome to see your own horse’s smile during training! The rules of positive reinforcement can be applied to any species. This is nothing new for zoo animal trainers. However, each species has its peculiarities, and you need to know about these specifics when you start your training. Using positive reinforcement in communicating with horse is as fascinating as it is comprehensive in its requirements. For this reason, we offer a workshop series with 10 different modules to cover this huge field of expertise. You can choose to either learn from scratch each of the facets of Steigerwald.T, or select only those topics you are currently interested in. These educational workshops are unique in the German-speaking area, and we are delighted about the enthusiasm with which people meet the workshops. The equestrian world is evolving to embrace a more animal friendly training, and we are proud to play a distinct role in in this evolution. We are not in favor of negative examples. 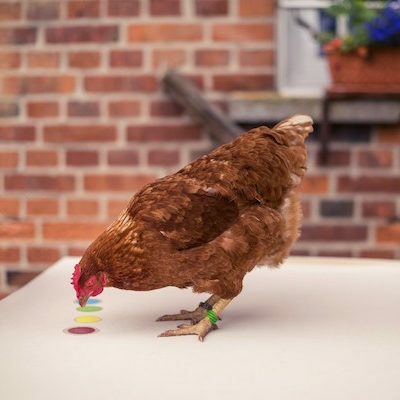 However, we feel compelled to note that there are still many ‘clicker trainers’ in the field, who hand-feed their animals, but cannot or will not dispense with pressure and dominance in their training. They might use clicker training only for specific lessons (and, yes, this is great! ), but will not train other important behaviors, e.g. handling or medical lessons with the clicker. Often enough they simply do not know better, or they are not able to identify the pressure they exert on the horses. It is not easy to recognize how the alleged ‘natural body language’ is based on pressure, and nothing but a lesson learned by the horse. We have heard many times: ‘Well, yes, that sounds good, but you cannot train MY horse this way because….’ Our answer is always the same: ‘Yes, you can. With the necessary know-how, you can do that.’ We are sadly aware that well-grounded horse training with positive reinforcement is not widely spread. Many horse owners simply do not know that it is possible, let alone how to do it. The global equestrian community goes back such a long way, all along using pressure in various forms as a training method. And don’t those training methods seem to get the desired results well enough? Yes, of course, they do. But what about the horse? We know all too well that there is many a hungry horse out there making it difficult to believe in focused training with a bag of food in front of its nose. 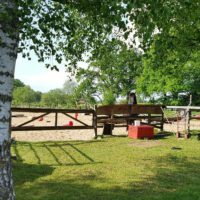 But we also know from years of experience that you can clicker train good manners first, and then have perfect training sessions with each and any horse. You only need to know how. And we really, really love to share this knowledge with anyone who is willing to learn. We feel confident that the equestrian world is ready for a change, starting to care about the horse’s welfare as well as good training results, and embrace valuable, science-based training. If you itch to drive this change and spread the good news about positive horse training and communication, we cannot to wait to meet you!